Party photo booth hire from Funbooths. You won’t believe the laughter! Photo booth hire is a must if you are planning a wedding, party or other special event. 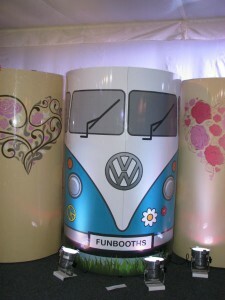 Funbooths offer party photo booth hire for hours of fun and comes with everything to make your party rock! We are based in the Central Region of the UK, hire a photo booth in Birmingham, West Midlands, Staffordshire, Warwickshire, Shropshire, Derbyshire & Leicestershire. We are happy to travel and hire a photo booth to most parts of the UK so please contact us. Funbooths photo booth hire provides unique and exciting entertainment for all your guests, young or old. Everybody can make unlimited visits to the funbooth photo booth where they will have an absolute riot! Grab some friends and fancy dress or simply perfect your pout for some fabulous photos and memories that will last a lifetime. All at the push of a button! Hire the funbooths photo booth for a standard 3 or 4 hour package and get all this…. At funbooths.co.uk we have thought of everything and the fun doesn’t stop when the party is over because your guests can enjoy unlimited and free photo downloads from the funbooths Gallery. Each session in the photo booth gives a set of four pictures to take away on the night. The funbooth photo booth is perfect to hire as a Birthday party photo booth, a wedding party photo booth, a corporate event photo booth and any other occasion where you want to make an impact and ensure that your guests enjoy every moment.